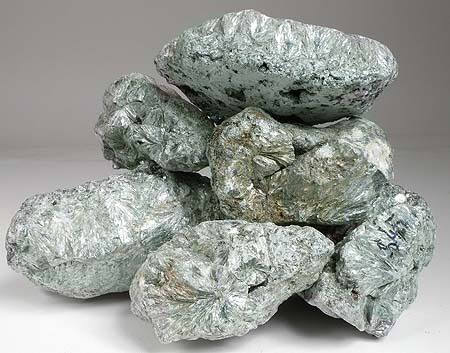 This material is completely mined out and is no longer available, even in Russia. If you want to get some of this rare rough, It's now or never (as Elvis said)! 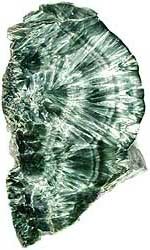 Seraphinite - also known as clinoclore, or clinoclor - is chatoyant and cuts an exciting and unusual stone. To get slabs and cabs that display the chatoyance, cut parallel to the fibrous plane. Cuts easily and polishes with tin or cerium oxide, diamond or green rouge. 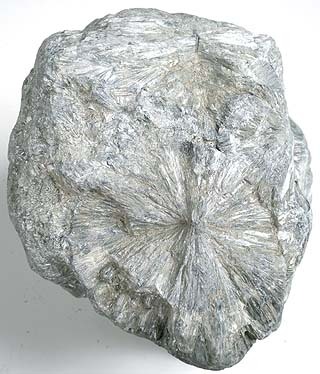 Mohs Hardness 2 to 2.5. 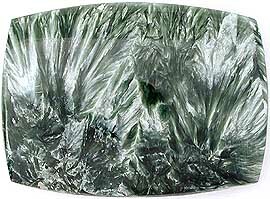 This huge piece of the finest quality seraphinite will cut fabulous, large slabs and countless fine gems! Triangular shape measures a whopping 13" x 6-1/2" x 5" thick. 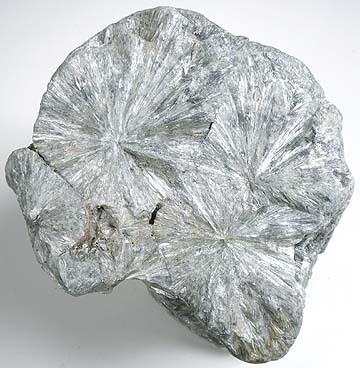 Fulll rounds in seraphinite are extremely rare. This is one of only two pices that came out of 10 tons, and it's the best one! This will cut valuable collector slabs and spectacular gems! Measures 6" x 4-1/2" x 4-1/4" thick.